Congrats to the Hunter Lady Bucs for winning the TMSAA Area 12 tournament Girls' tournament. Congrats to the Ellis Cougars for winning the TMSAA Area 12 tournament Boys' tournament. 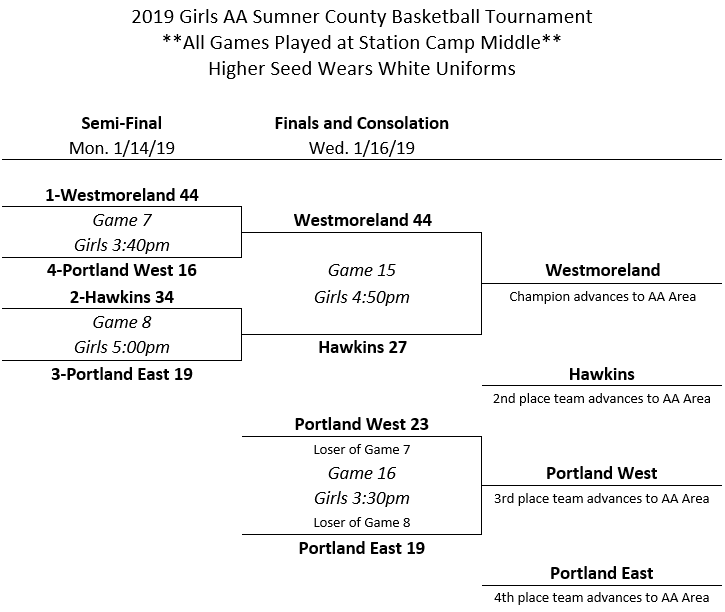 Congrats to the Westmoreland Lady Eagles for winning the Sumner County AA Girls' tournament. 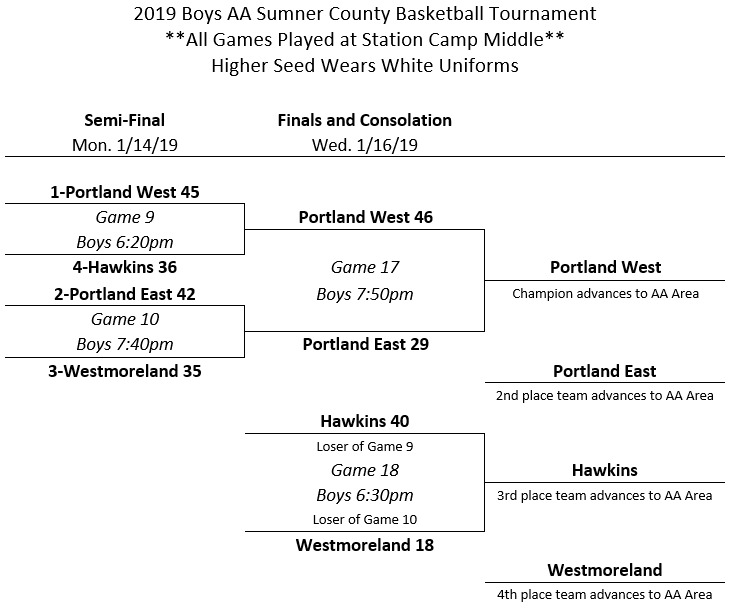 Congrats to the Portland West Panthers for winning the Sumner County AA Boys' tournament. Congrats to the Rucker Stewart Lady Rams for winning the Sumner County Regular Season Girls' Championship. Congrats to the Station Camp Bison for winning the Sumner County Regular Season Boys' Championship.